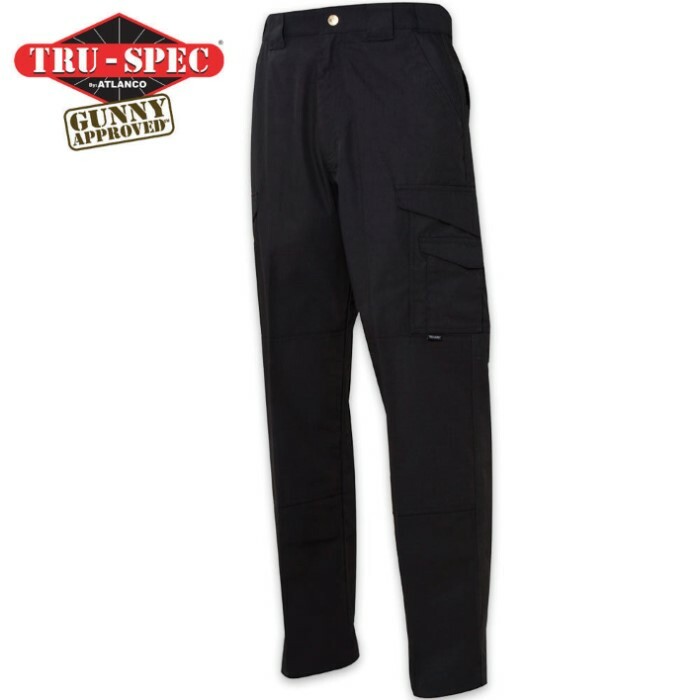 24-7 Series Tactical Black Pants | BUDK.com - Knives & Swords At The Lowest Prices! I bought these for use on the job, and they are great! The pockets velcro securely and the front pockets are large enough to fit a magazine! (The kind you read, not the other kind, but that would fit too.) The fit is amazing with the elastic waistband. Comfortable for 12 hour shifts with no problems. They look great too. I highly recommend these pants.